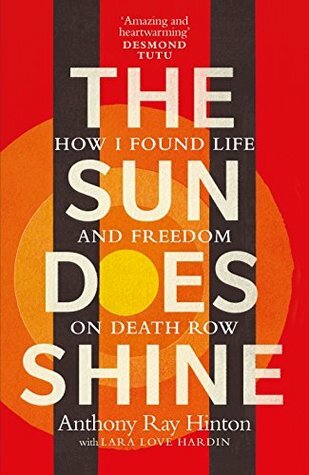 'Both [Nelson Mandela and Ray Hinton] emerged from their incarceration with a profound capacity to forgive...The Sun Does Shine is amazing and heartwarming' Desmond Tutu, Nobel Peace Prize laureate 'Hinton is an example to us all of the power of the human spirit to rise above complete injustice. His book will inspire people to never accept the unacceptable.' - Richard Brans 'Both [Nelson Mandela and Ray Hinton] emerged from their incarceration with a profound capacity to forgive...The Sun Does Shine is amazing and heartwarming' Desmond Tutu, Nobel Peace Prize laureate 'Hinton is an example to us all of the power of the human spirit to rise above complete injustice. His book will inspire people to never accept the unacceptable.' - Richard Branson The Sun Does Shine is a powerful and compelling true story that brings to life deep, human questions about suffering and redemption. Anthony Ray Hinton was poor and black when he was convicted of two murders he hadn't committed. For the next three decades he was trapped in solitary confinement in a tiny cell on death row, having to watch as - one by one - his fellow prisoners were taken past him to the execution room. Eventually his case was taken up by the award-winning lawyer, Bryan Stevenson, who managed to have him exonerated, though it took 15 years for this to happen. How did Hinton cope with the mental and emotional torture of his situation? The Sun Does Shine throws light not only on his remarkable personality but also on social deprivation and miscarriages of justice.